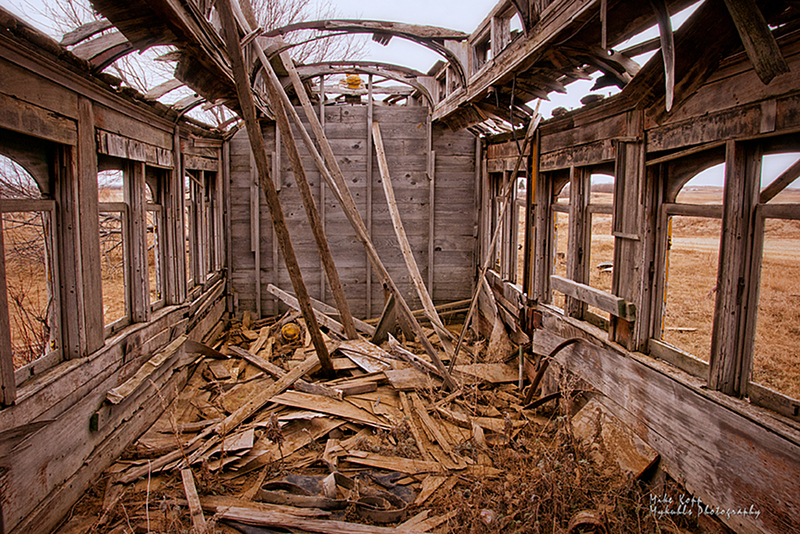 A wooden passenger rail car once carried passengers across the U.S in a marketing effort for the rail company to promote tourism, now it marks its decay in to the prairie. Once again, headed down Highway 2, we eyeballed the rail car in the middle of the gravel pit. It was so out-of-place that we mentally marked its location between Minot and Williston. Each time our curiosity grew. We apparently were not the only ones. After we posted an image on our Facebook page https://www.facebook.com/beautifulbakken we got an overwhelming response from people wanting to know more. A few chipped in what they knew of the steel-wheel reminder of another era. Our search yielded very little, not much on-line. At one time, the wooden rail car may have been similar to this. Briefcase? What had we gotten in to? Were we about to go head to head with some high-powered negotiator who kept his life in his briefcase? We knew where we were going, we just didn’t know how to get there. We followed his directions and the snow tracks in to the farm-yard, past the house to where a pickup truck was parked outside a large metal farm shop. That was about as good a sign as any that the man with the briefcase was nearby. The shop door was locked. I called him on the phone and after a couple of minutes, he unlocked the door from inside. Were we about to meet the high-powered negotiator with a briefcase? No. Robert was anything but; in his late 60’s, smiling, charming, a bit of a silver pony tail under his cowboy hat. The original layout and design of the wooden rail car. The drawings and illustrations showed the car at one time was quite ornate. “Yeah, it had stained glass windows and a lot of fancy work on it, but vandals got in there and broke all the glass and pretty well tore it up,” he said. The long windows n top and the arched windows in the side were stained glass. The interior bears the marks of vandals and weather. Robert is a good conversationalist, good to talk to. He took us back in time to show us his restored antiques and rare collectibles, including brass hinges and door knobs. He’s a collector and a wealth of regional history – a wealth to uncover with patience and time. However, we were on our way to Williston and couldn’t spend much time with him, so we made a disappointing departure – our disappointment because Robert is a rare life-long fixture of the prairies. We told him, we’d like to come back and he said that would be good. He had given us a start. From the newspaper stories of years ago, the drawings and letters, we learned enough about the rail car to hunt for more information on-line. Just as Robert had said, Barney and Smith Company of Dayton, Ohio built the car in 1906. The company started 70 years earlier, before the Civil War by two men who met at a local Baptist Church in the 1840’s. They built rail cars and eventually inner-city trolleys. This rail car, parked along Highway 2 in Mountrail County, North Dakota had been all over the upper Midwest pulled by the Northern Pacific rail company before selling it to the Great Northern Railway. The N.P. built the line through southern North Dakota and Montana, from Fargo, Bismarck and on to Billings and west. It invested heavily in a new idea called “Yellowstone Park” and helped pay for the Old Faithful Inn in Yellowstone. N.P recovered it’s investment by promoting tourist trains from the east, across the prairies to the Rockies and to Yellowstone National Park. Tourists paid to travel by N.P. rail for a day or two to get to near Billings, and then take an N.P. spur to Yellowstone. The gravel pit rail car was likely one of the cars the N.P. used to carry passengers. The Northern Pacific built the rail line through southern ND and MT, built and promoted Old Faithful Inn at Yellowstone, then attracted tourists to ride the line to near Billings and then to Yellowstone. In 1941, The Northern Pacific sold the rail car to the Great Northern Railroiad, the company that ran the northern line across North Dakota and Montana. The Great Northern. used the rail car as a bunker car for workers at the gravel pit. Between 25 and 50 workers, earning $1.80/hour lived in nearby Blaisdell or at the pit, some turned the rail car in to a temporary home and office for the gravel pit. The G.N.. used the gravel for rail beds until it became apparent that the gravel in the pit was too smooth and round; a sharper-edged granite was needed. The G.N.. abandoned the site in 1958, pulled up the tracks, but left the rail car. The Mountrail County Historical Society floated the idea of moving the car to the Flickertail Village in Stanley, but when the group learned the car had no wheels, it abandoned the plans, and the car was left to rot. Robert gave us permission to check out the rail car when we got the chance. Vandals and thieves have stripped the car of most of its detail, unless you look very closely. We found it wasn’t hard to imagine the stately high-end decor of the car. It has a spirit about it, a feel that causes a visitor to slip in to a romantic nostalgia of another era. It’s an impressive structure, about 70-feet long, but I don’t think I’d trust the floor or the walls. Weather has done its thing for the last half century. It wasn’t difficult to imagine standing on the back deck and watch the woodlands of Minnesota turn in to prairies of eastern North Dakota, and then the ruggedness of the Badlands and finally the kingly Rocky Mountains. Our few minutes with the old rail car would have been longer if it were not so cold and windy. We shot around the car from different angles. It’s a horizontal monolith of the prairie. It’s a reminder that today’s industry in the Badlands of North Dakota, the Bakken is not a new phenomena, that the region has been home to different industrial enterprises for decades. 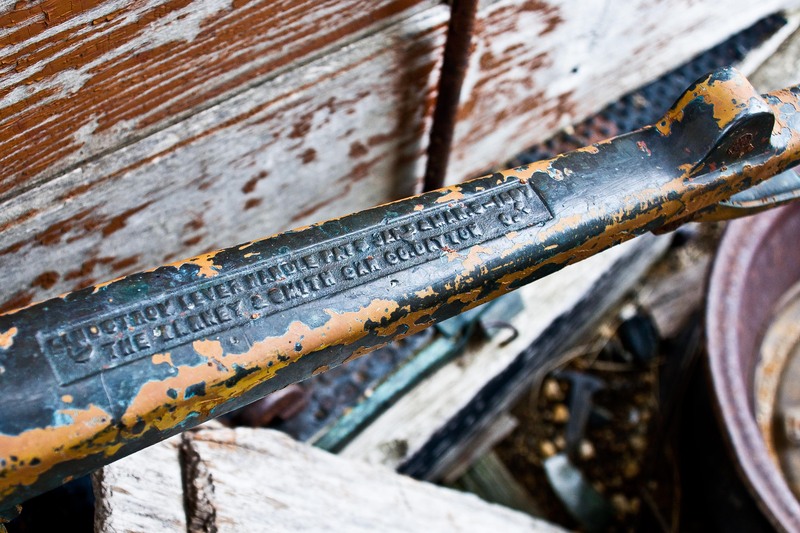 Wooden rail cars dot the prairie as farmers converted them to shops and storage space. We’d like to find more, are there any near you? What can you tell us about the abandoned rail cars in your part of North Dakota? Spring in North Dakota means showing off your winter’s work. Well, in most cases. Sometimes people want to keep wearing their long baggy clothes to hide what they’ve been working on. Not true for Wes and Kevin. 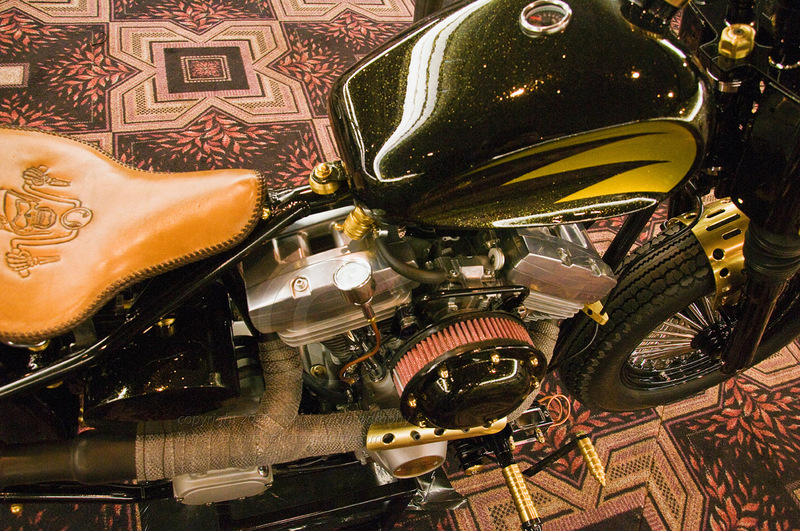 All winter these two had been creating from scratch their barhopper bobber with brass trim rather than chrome. 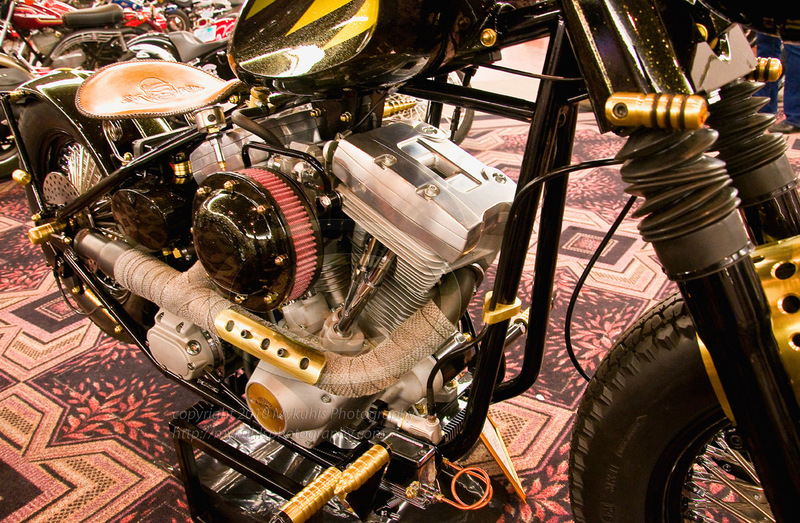 They called it Brasshopper and it is winning bike show contests across the state. Though I’d known Kevin for some time, Wes and I had become acquainted just the year before. I knew him then as a top-notch customer servicing mechanic with Patriot Custom Cycles in Dickinson. It wasn’t until this bike show in Minot I saw his artistic creative talents with Brasshopper. It’s such a remarkable piece of work I wrote an article for it for Gasoline Magazine. 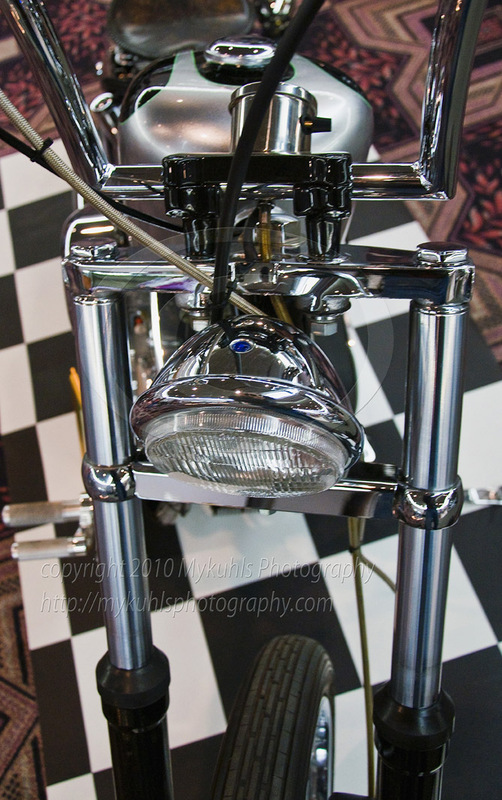 It’s also on my other blog, 2wheels2lanes1camera. Chrome is the rule with this bike, a Sucker Punch Sally creation. 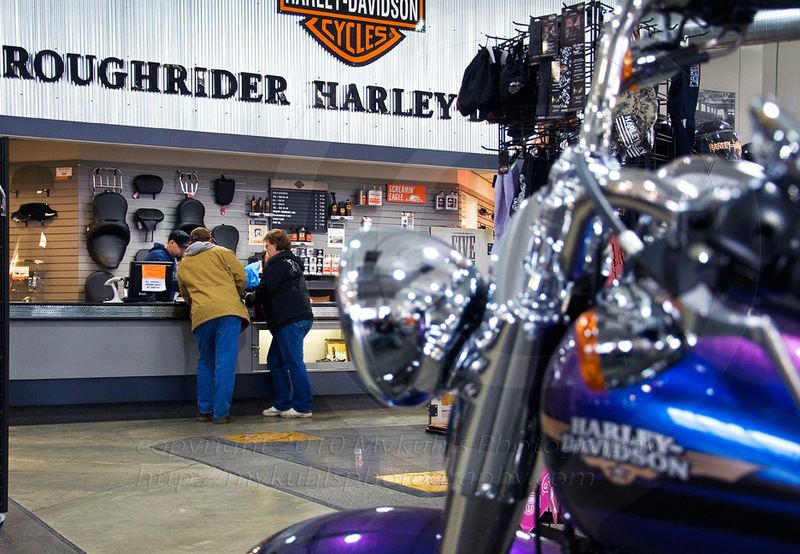 Bike shows dwindle down to nothing by May and June, but they’ll be back next spring. Winter. Books. Hot coffee. Quiet environment. 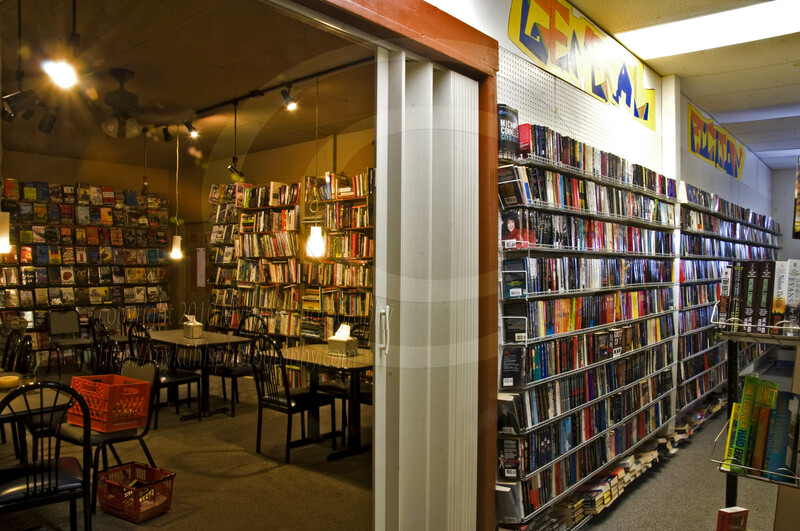 Sounds like heaven on a winter’s day, a place to escape the cold not only by stepping in to the bagel shop in Minot, but also a place to escape by books. I never go to Minot without stopping at the Bagel Stop on South Broadway in Minot. 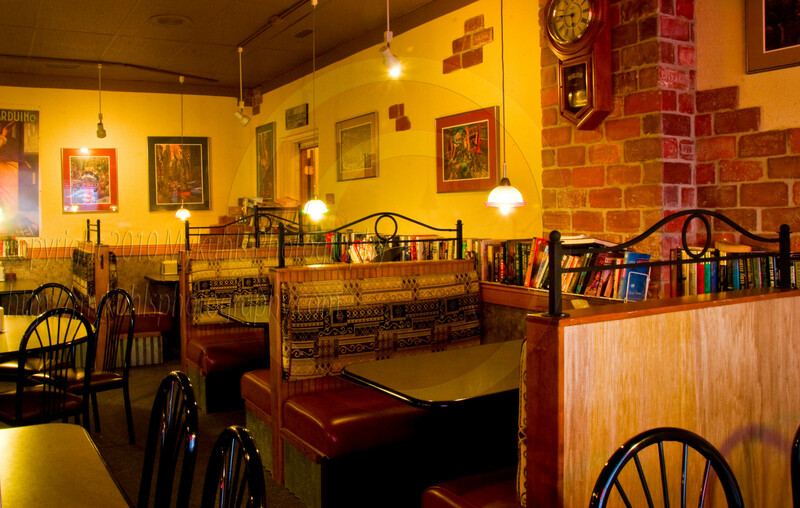 It’s a warm inviting environment, with a rack of used books at each booth, and more in the adjoining room. That’s where you can carry your coffee and leave your cold to search the always-changing selection of used books. In the back room is a meditation room that can be sealed off with a folding door to allow groups to quietly use the room for their own version of escape from the cold of North Dakota’s February days.